CREDIBILITY and prestige are important for governments no matter what their hue. The USSR suffered two major blows to its international prestige in 1986 and 1987. The first, a tragedy, was the Chernobyl disaster. The Soviet government demonstrated it was unequal to the task of safely running a nuclear power station. When disaster struck owing to technical incompetence, it was unequal to the task of limiting the disaster, leaving hundreds of square miles uninhabitable and a prospect of incurable disease and early death for thousands of innocent civilians. It was all preventable. There had been a similar incident three years previously due to a fault in reactor design. Instead of learning from this, it was hushed-up for political reasons. The second was a farce. In 1987, a young West German managed to evade all of the USSR’s sophisticated belts of aerial defence facing NATO and landed his light plane in the middle of Red Square, remaining undetected until the last moment. This was despite the USSR’s trigger-happy nature regarding unauthorised incursions into its airspace, which four years previously had led to an off-course airliner being blown out of the sky in the middle of the night by interceptor fighters. On the back of Gorbachev’s attempt at economic reform, these successive blunders tarnished the image of the Marxist-Leninist state, validating the widely-held view of the USSR as a kind of third-world country that just happened to have nuclear rockets. The imminent departure of the EU member state with its second-largest economy does not show the EU in a good light. But very little has been made of this fact, certainly not by any commentators. Instead, the UK is unfairly blamed for leaving the EU, rather than the EU being accurately blamed for being so unpopular in this country that over 17million voted against continued membership and the project for ‘ever-closer union’. 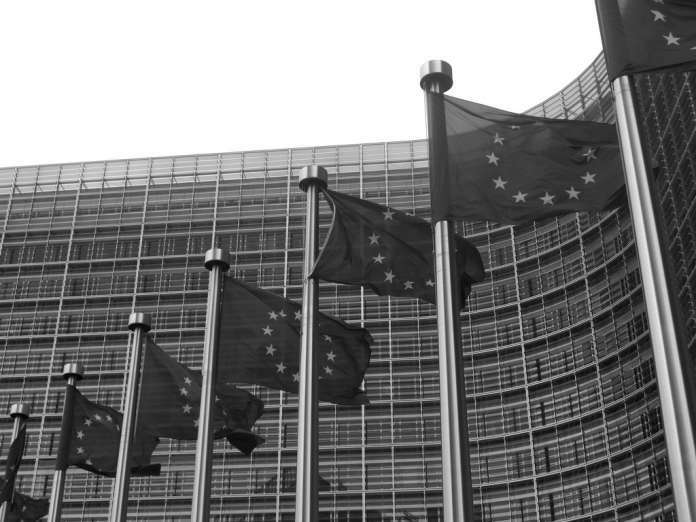 The conduct of EU public figures appears to be based on the concept that they operate from a position of superiority, handing over minor concessions based on whim, caprice, and the strategic application of alcohol. They certainly believe they can treat this country with no respect despite our size in the global economy and the soft and hard power the UK projects around the world. Their dismissive attitude towards the United Kingdom is a triumph of the will over objective reality. All over the continent, populist parties are emerging who oppose the EU-imposed New Order straitjacket which governs all but for the direct benefit of a fraction, even if this fraction is sizeable. The rigid political orthodoxy exhibited by the EU contrasts with the popular will in such a way as to demand accurate comparison with less-than-democratic 20th Century regimes. Certainly the EU has conclusively demonstrated it is incapable of reform. Only an idiot or Jeremy Corbyn would believe otherwise. The EU’s structural inability to reform led to the UK’s vote to leave. The EU fails to appreciate this. That is their failure. It is their doom. It is not too late for the EU to demonstrate to its remaining subject nations that it can positively adapt to changing circumstances. The deal it imposed on Mrs May has been rejected by Parliament. Mrs May could not do anything other than state this was a good deal because presenting a deal she stated was bad would have been ridiculous. ‘No Deal is better than a Bad Deal’ was an absurd public statement to make. If the UK leaves the EU without a deal, this will be the fault of the EU as the deal it imposed on us failed its only democratic test, which took place only in the UK. The day after we leave the EU, we will still be abiding by EU regulation, but despite this, the EU will in effect be imposing economic sanctions and blockades on trade. That is not the conduct of an entity based on international goodwill. Instead it shows the rottenness and bad faith at the top of the EU, a poisonous form of Euro-nationalism of a kind the world fought to defeat in 1945. People around the EU and the world in general should observe the EU’s words and conduct and ask whether the EU actually represents a force for good, or whether the world should put up with yet another attempt by a continental alliance to disturb peaceful international transactions. The EU should blink first and make it easy for the UK to leave. It will lose credibility and prestige if it fails the UK. The EU’s Chernobyl moment is approaching.